Klein: "There is no doubt that the direction is electrification." 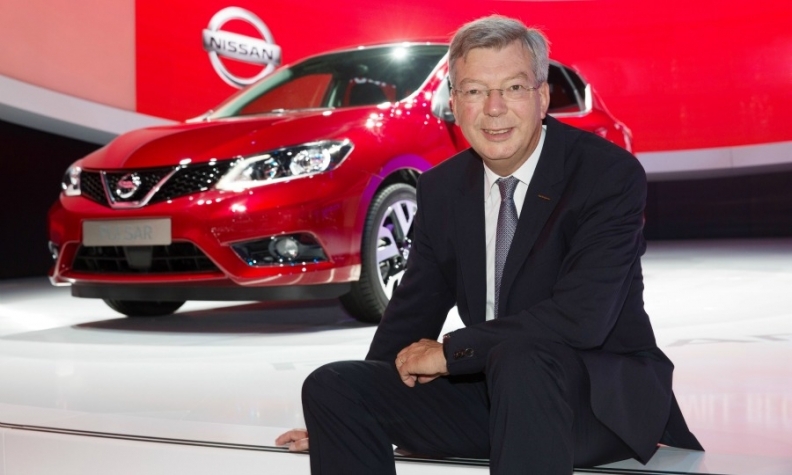 Nissan’s head of planning, Philippe Klein, foresees changes to the powertrain mix in Europe due to the rising cost of diesels. Klein is confident that Nissan and alliance partner Renault have the right mix of alternatives -- including a growing family of electric vehicles -– to find the right balance between technology costs and value to the customer. One alternative that Klein doesn’t see being a big part of the mix at Nissan is plug-in hybrids. He explained why in an interview with Automotive News Europe Managing Editor Douglas A. Bolduc. Has Volkswagen Group’s diesel emissions scandal affected demand for the powertrain or were diesels already losing share because of the rising cost of technology to treat emissions? What we were envisioning is a situation where the cost of the clean diesel technology would increase with the next generation of regulation, but that was embedded in our plan. We see a kind of rebalancing between diesel and other technologies, which is not to say that diesel has no future. It remains a pretty energy-efficient technology despite becoming more expensive. That means the [price] gap between diesel and gasoline will evolve a bit. MAIN CHALLENGES: Reducing fears about range anxiety to help increase demand for electric cars. What is the future for diesel-powered cars in Europe? You’re going to see it where it makes sense, such as bigger, heavier vehicles. It will probably gradually diminish in the small cars, which you can already see in Europe. How will this cause you to change your powertrain plans? Our job is to find the right ratio between the cost of the technology and the value for the customer. This is where we are going to continuously see some balancing. The good news is that thanks to the size of our alliance with Renault we are capable of mastering all these technologies from the EV [electric vehicle], to gasoline and diesel. Then it’s really a matter of what is the technology that is sustainable based on this ratio of cost to value. Does the negativity toward diesels make Nissan and Renault’s big push into EVs seem even more justified than when you started? We came into this technology as the front-runner along with Renault. We have established a leadership position and what is interesting is that you now see others are joining, which, in a way, is a validation of our strategy. The environment is even more favorable for zero-emissions drive because the CO2 problem gets bigger year after year. What also is emerging is a worsening situation in terms of air quality in some of the big cities around the world such as London and Paris as well as in China. There is no doubt that the direction is electrification. Is range anxiety still a fear with EVs? When we look at our surveys, the first limitation is range. The Nissan Leaf’s new 30 kilowatt-hour battery increases the car’s range to 250km on a single charge, up from 199km now. What effect do you expect from this? We are closing the gap so range anxiety will gradually be a non-factor as the technology continues to evolve. Some countries in Europe are supporting EV sales with incentives while Germany has a big goal, 1 million electric cars on the road by 2020, but it offers no perks. Is the inconsistency of incentives hurting EVs? It is true but I’m convinced that we’re going to see things steadily change. I think the [air quality] situation in Paris or London, for instance, will probably continue and expand to some other places. At the same time, the technology is evolving and you have additional competitors. This increases awareness and helps encourage acceptance. Do you need to add plug-in hybrids to your lineup? It’s a question of whether it makes sense in terms of cost and value for the customer. At the moment our analysis shows it is still a small niche. But technology wise we are ready to do it. How important is the Q30 to Infiniti’s future in Europe? We are counting on this car to establish a foothold in Europe that is sustainable. It’s the right size and the right price point to compete in the premium sector in Europe.